Here a list of the hotels available on our website for St.Patrick's week. The Morrison Hotel is probably the hippest & coolest hotel in Dublin city centre. The world famous designer John Rocha is responsible for the Morrison Hotels "East Meets West" hotel theme. The inviting interior of this boutique hotel is a mix of high ceilings with pale white walls, original art, stone floors & hand crafted Irish carpets. This stylish Dublin Hotel is a haven of calm & is renowned for its great service, easy going atmosphere & chic hotel accommodation. The historical St. George Hotel is located on Parnell Square at the top of O'Connell Street, Dublin's principal thoroughfare. It is within walking distance of the Abbey and the Gate Theatre, Municipal Art Gallery, Dublin's Writers Museum, principal shopping district and other major tourist attractions. It's a beautiful hotel, ideally placed. The hotel try hard to make your stay in Dublin as comfortable and as enjoyable as possible. The hotel offers a relaxing and enjoyable stay to at reasonable prices. The interior of the hotel opens with a splendid period staircase and the guest lounge is furnished in its original plasterwork, with details such as eye-catching crystal chandeliers, magnificent antique mirrors and beautiful marble fireplaces. Maldron Hotel Parnell Square is a purpose built contemporary inn, which commands a superb location on the site of the former National Wax Museum. This stylish new hotel is in the heart of Dublin City, a short stroll from O Connell Street and the city's main entertainment hot spots, and is convenient to both the airport and rail stations. As well as all the in room feature you have come to expect from Comfort Inn in Ireland, up to the minute technology is a feature of this hotel including free broadband in all 124 bedrooms as standard. 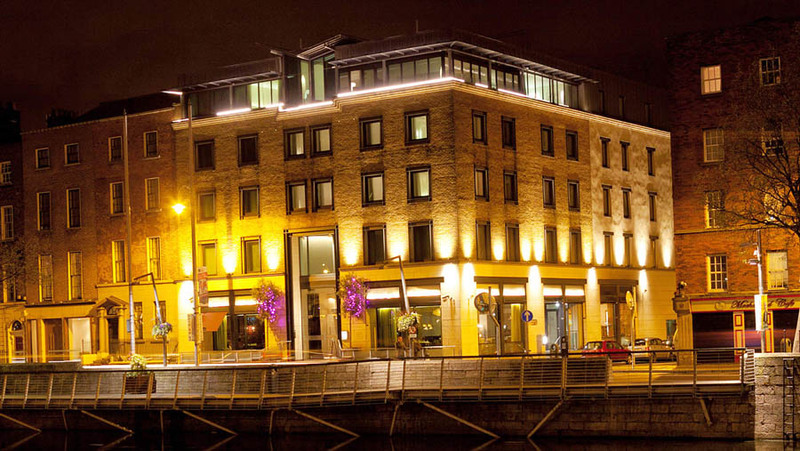 Jurys Inn Custom House Hotel is centrally and attractively located along the River Liffey in the International Financial Services Center. Within easy walking distance are all of the city's main shopping districts and cultural attractions, it is perfect for both the business and leisure traveller. Jurys Inn Custom House Hotel offers an excellent standard of 3 star accommodation and is virtually in the shadow of Gandon's magnificent Custom House, from which it gets its name. Guest rooms are well appointed, broad and equipt with modern amenities in order to make your stay as pleasant as possible. Jurys Inn Custom House is one of Dublin's most popular hotels, as it is a surpassing value for the standard of accommodation and location O'Connell Street, Grafton Street, Trinity College, and the city's principal shopping thoroughfares are within proximity. With a stay at Trinity Lodge, you'll be centrally located in Dublin, steps from National Museum of Natural History and National Library of Ireland. This hotel is close to National Gallery of Ireland at Merrion Square and Trinity College. Dublin is a vibrant city with many things to do and lots of sightseeing places to visit. North Star Hotel offers stylish accommodation while you are in the city. It is a good choice for business travelers, having all the needed facilities.